are some secular on 9 Av like some haredim on Yom HaZikaron? The People of the Kotel... The Kotel of the People. I went to daven at the Kotel this morning, for 9 Av. The goal was really to got o Har Habayit after davening. However, I planned on going to the mikva in the old city, but found out that the mikvas were closed. So they went up without me after davening. I stayed down by the kotel and said more kinus, and took pictures when I got bored of the kinus. 1. Tzedek-Tzedek talks about the untimely death of a member of the community and how people from elsewhere came in and threw around threats of riots to prevent any chance of their being an autopsy. I would posit that they feel it important to stick their noses in even when it is not just their people being "threatened" with autopsies is because if it happens anywhere, they probably feel, with religious people, and especially if it is allowed to get to the point where a rav might say it is muttar in any specific case, that will make it harder for them to prevent it in their own community in the future. 2. RivkA has a medical update. 3. LOZ's son Jr mourned the Beis Hamikdash. sort of. The Haredi press, and community in general, is up in arms, rightfully so I might add, about two facts. a poll was recently published in which it was found that 51% of the secular/general public (I do not remember the exact wording but I think it was "secular") do not want a haredi neighbor. A complex in Kiryat HaYovel owned by the Hebrew University was up for sale. The tenders were in and finalized, and it looked like a haredi group was going to win the tender. Hebrew U., supposedly under pressure due to the high tensions in Kiryat HaYovel, canceled the tender so as to avoid selling the complex to a haredi group. I would first of all be impressed that only 51% of secular do not want to live near haredim, considering all the recent negative press the haredi community has received. So they should look at it as an accomplishment of sorts. Second, Instead of decrying the anti-haredi sentiments among the secular public and being upset about the fact that they dislike us, perhaps they should attempt to analyze what about us they dislike and try to improve. Yes, some might not like us for reasons we can do nothing about, such as the general hatred of am haaretz to a talmid chochom, but I think most people do not want to live near haredim for other reasons. Another possible reason would be we make them feel uncomfortable, guilty perhaps, because they know they should be living a more religious lifestyle, and we remind them of that even if just by our appearance. But, again, I think that is not the problem for most people. I think the problem for most people is that they are afraid of their neighborhood turning into a war zone. Suddenly streets will be closed for shabbos. Suddenly every time something is done that the haredi neighbors do not like, garbage will be burned and traffic lights will be torn down. True, most haredim are not like that. However, very few secular know the differences between the groups within Haredi Jewry. They see the animals of Mea She'arim and RBS B rioting and are afraid that that is what their neighborhood will become. We can thank the Eida HaChareidis, who backed the recent protests in Meah She'arim, and continue to back the parking lot protests (though it is unclear how connected they were to the violence in the protests, though they did not condemn it) along with all their previous history of protests, violence and extremism, for influencing the rest of the haredim in a negative way. Is it fair? No, it is not. If you look in a mixed neighborhood, almost all the residents are happy with the variety and are friendly with people from all communities within. RBS A is a good example of this. Aside from a few nutcases who think they are part of the Eida and have to push extreme views on other people, 99.9% of the residents are happy, are friendly with their neighbors including neighbors who are in the "other" group. The fighting, as can be seen now in the planning of RBS C/G/3, is mostly because people are afraid the elements of RBS B might affect it somehow. R' Shlomo Pappenheim of the Eidah Haredis council, in a recent interview, suggested very similarly. He is against holding protests over every little problem, though most in the Eida disagree with his opinion. He said the Eida protests cause people to hate religion. So, thank you Eida Haredis for that. The "organization for the cats" is concerned that the city plan to install garbage cans that cannot be burned during protests, because they will be sunk into the ground, will have an adverse affect on the stray cats - they will no longer have access to their main source of food - open garbage cans in the street. That will lead to having stray cats all around the streets lying ni their death throes. Get a life. There are too many strays anyway. 1. Israeli Simcha is a new blog describing how to make a simcha in Israel, both nice and economical. His first post is on making a wedding in Jerusalem. 2. The Jewish Worker comments on an advertisement he saw for a quickie smicha program. 3. Kaplan's Korner has some Maccabiah closing comments, including a participant who finished the Maccabiah and made aliyah. The whole thing was probably worth it just for that! 4. WestBankMama comments on the NY Times article about Haredi settlements. 6. Reb Akiva discusses the events of Tisha B'av with a simple explanation..
7. Muqata scoops Shaul Mofaz waiting in line like us common folk to get through passport control to the US....He had to suffer through people hounding him for his political decisions during the wait. Doesn't make sense that he had to wait in line, but good for him. It must be a sign that mashiach is coming. Just the other day up north a "premee" baby died, and when later being prepared for burial, came "back to life" (the baby had a pulse and was breathing). The baby died, again, shortly after. Today, in another episode of the dead returning to life, rumors have it that Shlomo Dweck, the informant in the NJ money laundering/organ selling case, has announced he will be going to be menachem aveil his father who is sitting shiva for him. [Mofaz].. has no chance. Before he will be elected prime minister, Tzipi Livni will be. Just as [Livni] has no chance to achieve this position, Mofaz has completely no chance. Mofaz does not understand that in opposition to the talents he talks about, he is an extremely "gray" person. Until today, he has not shown any substantial successes in the political arena. R' Yitzchak Goldknopf, the secretary of the Committee for Shabbos Observance, who previously has led the battle against Sehfa Shuk due to the owner having a chain of stores open on Shabbos, has now attacked the Eidah Hareidis, accusing them of making their decisions all based on money. Goldknopf claims that there is no difference between the chillul shabbos happening in the fight over the parking lot, in which the Eidah has taken a clear stand, and between the chillul shabbos of the supermarkets in which the Eidah refused to participate. He says, the Eidah originally was going to join the calls to boycott Shefa, but then saw they stood to lose their extremely lucrative hechsher on Shefa so they pulled out. By the parking lot, Karta is a privately owned lot, not in a haredi area, yet the Eidah protests. The Eidah hechsher continues to fly over Shefa Shuk, despite the massive chillul shabbos caused by the owner, and by the fact that his keeping the AM:PM stores open on shabbos forces many others to be mechalel shabbos as well just to stay in business. Goldknopf wants the Eidah to pull its hechsher from Shefa in order to force Shefa to back down. If the Eidah pulls out, Goldknopf assumes, nobody else will be brazen enough to give them a hechsher unless the situation changes. Goldknopf's accusation against the Eidah implies that the Eidah is no better than any of the other kashrut organizations that are regularly accused of not being reliable because they are more concerned with financial concerns over losing their hechsher rather than sticking to their rules. 2. Jewschool hosts its first Haveil Havalim. #227 for those of you keeping track..
3. That great website, Go Visit Israel, now has some more new features, including polls and top searches. The NY Times has an article on the two Haredi settlements of Beitar Ilit and Modiin Ilit, and the issues that differentiate them from the rest of the settlement enterprise. 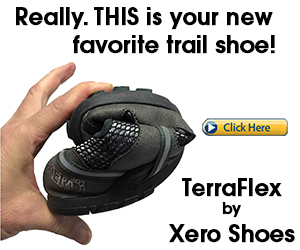 There is also a video, (in the left margin of the original article), that is very balanced. The problem is more acute in these places, because of the denser populations and higher birthrates. It is more difficult for them because of the fact that they are not interested in the politics of being there, so they see themselves less as being obstacles. they just want to be left alone to live their lives. Land for Peace....I said that I will help them obtain land for their buildings, and in exchange I want complete quiet. Thank God this arrangement works. Regarding how he achieved quiet by the more extreme community in Bet Shemesh - by buying them off with land. Funny thing is, he is not saying they promised they will be quiet, but he says he has already achieved the quiet. I am not sure what quiet he is referring to - just last week there were at least 3 days where the roads through RBS B were shut down and closed off due to rioting by the community he refers to in the above quote. Maybe he means he has achieved their quiet in between the rioting periods. The general press is all agog about the headline in the haredi website Kikar Shabbos about the father, Asaf Goldring, who murdered his daughter. The headline read, "Secular Leftist Murdered Daughter". Generally the haredi press would ignore such incidents and not report on them at all. Violent crime is usually ignored by the haredi press, as they consider the topic inappropriate for its audience. The sensationalist title "Secular Leftist" is perceived as an attack on the secular. Basically, too bad. It is about time. 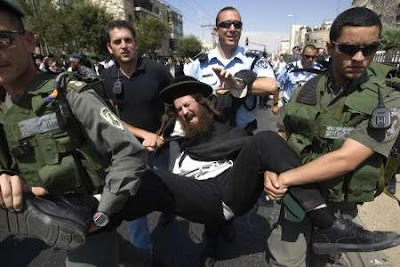 Every time a Haredi Jew, or even a DL Jew, is caught for a crime committed, the headlines in the general press always describe them as "Haredi thief" or "haredi abuser", etc. For other sectors, it usually drops the descriptive title, at least from the headline and often from the article as well (you often have to figure it out based on the location (e.g. city) where it took place. Yes, there are religious people who commit crimes, violent and non-violent. Religious people are human too, and are susceptible to the same weaknesses and temptations as anyone else. Some control themselves, and some do not and commit crimes. If the secular public can smear the haredi/religious community with sensationalist and accusatory headlines, it is about time the haredi press hands it back to them. If you are from Bet Shemesh, this link will interest you. Yesterday, the mayor, Moshe Abutbol, held a press conference about the plans and his goals for RBS C/G/3/Gimmel. There is no embedding link, so all I can do is point you to it on the haredim.co.il website. The press conference is in Hebrew. Abutbol says that there is great demand among the Haredi sector for apartments, and as soon as it goes to market, the section allotted to them will be snapped up. The whole area is being divided up, but will not be held indefinitely. The other sectors will have to market their allotted sections quickly, or else they will be given to the sector that can sell it quickly. Much of the press conference is Abutbol dealing with his goals for construction and pushing the agenda of the haredi sector. Abutbol was voted in primarily with the votes of the secular, as they were the first to push him forward and the haredi party only signed on later. The secular should not complain when they feel they are getting the short end of the stick as he works more to push the haredi agenda than the general agenda (for example, I saw a complaint about Abutbol in the local press that Abutbol is more concerned about building and who he will bring to bet Shemesh, rather than being concerned with improving the quality of life of those already living in bet Shemesh). They should have known what they were getting into by pushing a haredi candidate for mayor, and I have a hard time believing they really believed he was one of them. The construction should be good for Bet Shemesh, and no matter who ends up buying there, at least every sector is being given a chance. 1. Modern Uberdox emailed officials just to tell them that we are not all corrupt. I wonder what they think. 2. Yaak has some comments from Rav Ovadiah Yosef on various situations, including Obama's incessant pressure on Israel and Arabs on Temple Mount. 3. A Bloc of Something Different has the top 10 ways you know it is bein hazmanim..
4. The mother from Meah She'arim being called the "Starving Mother" now has a blog, run by her family and Toldos Aharon, to disseminate what they call the real truth about what happened. It is in Hebrew, but check it out anyway. 5. Jonathan Rosenblum, on Cross-Currents, discusses the phenomenon of American yeshiva boys getting in trouble at hafganot, as they go out for some excitement. While some advocate cutting back on sending boys and girls to Eretz Yisrael for learning after High School, I do not think that is the answer. They will just rebel and get in trouble elsewhere. Rosenblum discusses a different option - teaching them emuna, rather than just thinking they are "good boys". I don't know exactly what happened, so my comment might be out of place and/or inaccurate. It is based on what I have read so far about the sting operation. The chillul hashem stands, and I am not refuting that. I just think the whole situation is very strange. This guy Dweck, the informant, he did not just inform, and obtain evidence, of what all these other people were doing. This Dweck guy set them up. He got what seems like innocent people involved by offering them money and deals. Generally an informant is supposed to be obtaining evidence on people committing certain crimes - he approaches them and deals with them, getting evidence in the process. Here, some of these people were not at all involved, from what i understand, in all this illegal activity and he approached them and got them involved and turned them in. That is really dirty, and I do not see why this is not under the category of entrapment, which should get them off. 1. JoeSettler has the photo Israel is starting to distribute of Hitler meeting with the mufti of Jerusalem..
4. Go Visit Israel now has a page where you can sign up to receive information by email about new places to visit. They also have a section for "Off the Beaten Track" - basically a recommendation for a nature hike. 6. Jameel [also] commented on Rav Aviner's comments regarding the use of mehadrin buses. 7. A Friend of mine started a new blog called Authentic UFOs..
Today is a day of conundrums (what day isn't?). I am aware of two news items that were puzzling, at least based on pre-conceptions. the news is reporting that the Eidah Hareidis has announced that they will be starting a website to defend itself against accusations form the general media. They claim to have photos and information from recent events (hafganot and the like) that will show the truth about what really happened and that they are not "the bad guy" but have been accused of things they have not done. 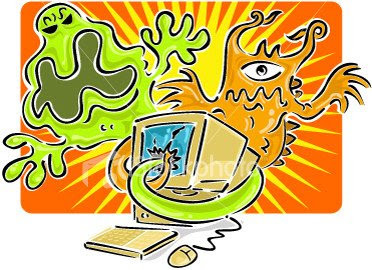 Considering the recent (and not so recent) campaigns against the internet, comparing it to cancer and attributing the internet to be the source of cancer, forcing internet cafes to close, other pashkevilim, etc. this definitely is a conundrum. It is about time they took advantage of the internet to [attempt to] improve their image. During the "Nine Days", Channel 2 of Israel Radio, along with the religious stations of Kol B'Rama and Radio Kol Hai, will be broadcasting 28 siyumim. This is in coordination with Rabbi Brod of Chabad. It seems the late Lubavitcher Rebbe encouraged public siyumim for the 9 Days. It raises an interesting question - whether l'chatchila a person can consider that being part of a siyum so he can eat fleishigs during the 9 Days. I guess Chabad might hold yes. But even for Chabad it might not be l'chatchila and might just be for those who are eating meat anyway, this makes it b'dieved ok. The amazing part of this is that the siyumim are on the radio, and not just on the religious stations but the general radio station is going to be broadcasting them! All this so that people eating meat will have heard a siyum rendering it permissible, without the slightest of effort. 2. Tzedek-Tzedek's latest post is about a concept called Tag Mechir. 3. Michael Sedley brings a fascinating story of Rav Kook to describe what the rabboonim considered proper protests against Chilul Shabbos. 4. The Zoo Rabbi spent the day with a Beluga whale. Great picture. 5. Shearim accuses the National Religious of hating the haredim wrongly. While her defense is that there are various groups all called haredi, and the NR don't differentiate when they dislike the actions of one group, she fails to mention that in NR there are also various groups and communities within making up the whole NR society. A yeshiva bochur came to Rav Chaim Kanievsky for a bracha. he asked for the bracha to have a successful trial. Rav Kanievsky asked what it is for, and he responded he was in a minor accident - he crashed into a wall, nobody got hurt, but he has no drivers license, and they want to put him in jail. Rav Kanievsky responded, "So you are a murderer. They should put you in jail!" The bochur argued a bit, saying he didn't murder anybody, he will drive responsibly, he knows how to drive (funny he should say that when his problem is because of a driving accident), he won't drive without a license, it will hurt his shidduchim options, etc. Rav Kanievsky brushed him off saying it is not true, and if he drives without a license he cannot say he knows how to drive and if he drives anyway he is a murderer because he could have had an accident involving someone else and should be put in jail. And regarding shidduchim, if he drives without a license, people are right for not wanting him for a shidduch as he is dangerous. There is no reason that in the official school curriculum of the State of Israel the establishment of the State should be presented as a disaster... The educational system is not mean to assist the de-legitimization of the State, that even raises the level of extremism among the Arab sector. Saar yesterday authorized the removal of the term and content of "Nakba" from the Arab educational curriculum, after previous Education Minister Yuli Tamir (Labor) included it. They claim that the fence, a.k.a "The Wall" has become superfluous and just a bother considering the security situation, relative quiet, and lack of terror attacks over the past 2 years. Ever think that maybe the 2 years have been quiet because of the fence? Take it down and the quiet will go down with it? And then spend billions of dollars to put it back up? 3. Rabbi Fink discusses an article on Gizmodo, a very inappropriate place for such an article by any means, about a religious couple suing the management of their vacation property because the automatic lighting with motion sensors forces them to stay indoors on shabbos. 4. Mystical Paths says Obama is meeting with leaders from around the world who are really Gog & Co. When Israel considered stripping Israeli Arabs of their citizenship because they assisted terrorists, there was an outcry about "human rights", "Judaization" and more. Yet Jordan goes ahead and begins stripping Palestinians of their citizenship of Jordan, not being done for any valid reason but just so the Palestinians should not think that is their homeland, without announcing it in advance, without asking anyone, and nobody gives a hoot about human rights or anything else. If Jordan can do it with no problem, we too should start stripping them of their citizenship - first begin with those assisting terrorists, and then move on to the rest of them. They can retain status of permanent, or temporary, resident, but not citizen. they will enjoy all benefits of the State under the law, but will just not be citizens. It cab be done as a response to terrorism or to encourage them to seek their home in the Palestinian territories or in other Arab countries. Just like what Jordan is doing. It seems that is the modus operandi in this neighborhood of the world (Egypt has done it as well plenty of times), and no reason for us not to play along. Will Madonna have a concert in Jerusalem? Madonna is coming to Israel for the yamim tovim again, and she has been plannign a concert, as she did last time she came. The various Israeli media websites are talking about the possibility of Madonna (supposedly she is considering it and her agents like the idea) adding another concert to her schedule. The added concert would be in Jerusalem, in Sultan's Pools. Considering the increasing frequency and violence of the hafganot in Jerusalem, as they get bolder as they see their violence "working", I wonder if we will see threats of violent hafganot if Barkat says he is bring Madonna to Jerusalem, and actual violent hafganot if he goes through with it. Considering her expertise in kabbalah, perhaps Jerusalem is the most appropriate of places for her! I would have no problem with her not having a concert in Jerusalem. But if they want to avert it, I prefer they would try doing so through diplomatic means and pressure the mayor politically, rather than with violent hafganot. 1. Esser Agaroth has the video documentary that exposes the collaborators in the disengagement. 5. Miriam Woelke has her POTD. Kind of reminiscent of Tienanmen Square, to a certain extent. The sign says the corresponding numerical value is not by chance, but is from Hashem (what isn't?).. With 160,000 cancer patients in Israel, how is it that you are not afraid? I have no idea if they made up that number of 160,000 or if it is real... I tried to do some basic research (i.e. google searches using different terms), and came up with a variety of numbers of cancer patients in Israel. Here is an inspiring story about a man who gave of his own money to cover hsi employees losses from investing their retirement funds with Bernie Madoff. Robert Lappin gave $5 million of his own money to recover their losses. This week, Lappin honored a promise. He and his family donated $5 million to restore the retirement savings of about 60 employees of various family enterprises, including the Robert I. Lappin Charitable Foundation. The charity was almost wiped out when the Ponzi scheme run by Bernard Madoff collapsed. Lappin and his family had invested all of their employees’ 401(k) retirement plans with Madoff more than a decade ago. Lappin had invested so heavily with Madoff that it cost him much of his personal fortune. The foundation lost $8 million when Madoff’s assets were frozen last December, and for a time was forced to shut its doors. Lappin said that now, after Madoff and the payment to employees, his personal net worth is less than $5 million, about a tenth of what it was before the scandal broke. Lappin said he couldn’t turn his back on his employees. Some had been with him for almost 51 years, as long as he’s owned Shetland Properties. There is a Jewish community - a fine Jewish community, really - with shuls and schools and mikve, with an eiruv, a glatt slaughterhouse, kosher supermarkets and restaurants, Daf Yomi available in three languages at different times of the day, a great chesed infrastructure and community support of individuals with a variety of "situations". It isn't just the community as a whole that is so exemplary, its members are outstanding models of intelligent, learned, observant, sensitive and caring Jews. We could say that this community is perfect... except for one thing: There is one mitzva they don't follow, when they shecht (ritual slaughter) chickens, they neglect to cover the blood of the sh'chita as is required by the Torah and as is detailed in Halacha. KISUI DAM BE'AFAR. Their sh'chita is meticulous. All other aspects of bringing the chickens to the table are cared for beyond reproach, but they don't do KISUI DAM. Strange community, wouldn't you say? Hard to figure them out. It seems that way back when they started, they didn't know about KISUI DAM, or they didn't think it was so important. Or was it that they found it too difficult to do. And when they found out that the kashrut of the meat was not affected at all by their not doing it, they just didn't make the effort. Wonder how many TTreaders to this point still think that this Lead Tidbit is talking about a Jewish community that neglects the mitzva of KISUI DAM. The fact is, KISUI DAM is only a place holder for a different neglected mitzva. One that actually finds one of its sources in this week's sedra - KISUI DAM does not. But the real issue is "similar". We are talking about not one strange Jewish community, but about many, many not strange at all Jewish communities in many places around the world. Communities that have the shuls and restaurants and all the other things mentioned at the beginning of this piece, but somehow they seem to neglect one particular mitzva. We're not even going to claim that the neglected mitzva is more important than KISUI DAM (although it might be so claimed.) We are talking about communities and the individual Jews that make up those communities, who are very conscientious about Shabbat and Kashrut, about Taharat HaMishpacha and learning Torah and davening... but seem to sadly neglect - not everyone equally - the mitzva of YISHUV ERETZ YISRAEL, living in Israel. It should not be neglected. There is nothing more to add. They hit right to the point this week. Way back when, it became known that Ivanka Trump was studying for an Orthodox conversion to Judaism under the tutelage of Rabbi Haskel Lookstein. It is officially time to wish her mazel tov. Ivanka Trump is now officially a Member Of The Tribe. The Tablet, along with People Magazine among others, are reporting that Trump has completed her conversion, with Rabbi Lookstein's certification. She really gets a double mazel tov, as she completed her conversion and got engaged to her Jewish Orthodox boyfriend Jared Kushner. 1. Harry Potter and Haveil Havalim #226 over at Random Thoughts. 4. A few more good posts on different aspects of the Jerusalem riots. Michael Sedley, Shalom from Jerusalem, and Mystical Paths. 6. Kaplan's Korner points out the player who might just be the next Sandy Koufax.... and also rounds up how different teams have been celebrating Jewish Heritage. 7. JoeSettler discusses how Jerusalem is a modern city. Olmert admits he offered jerusalem to the PA. And where was Shas? On Friday, Ehud Olmert, former PM of Israel, published an article in the Washington Post entitled, "How to Achieve a Lasting Peace: Stop Focusing on the Settlements". In the article, very well written just as Olmert was a very good speaker, Olmert tells the Americans that they should stop focusing on the issue of settlement construction as the issue holding back peace. -- No new settlements would be constructed. -- No new land would be allocated or confiscated for settlement construction. -- Any construction in the settlements would be within current building lines. -- There would be no provision of economic incentives promoting settlement growth. -- The unauthorized outposts built after March 2001 would be dismantled (a commitment that Israel, regrettably, has not yet fulfilled). The insistence now on a complete freeze on settlement construction -- impossible to completely enforce -- will not promote Palestinian efforts to enhance security measures; the institution building that is so crucial for the development of a Palestinian state; better movement and access to the Palestinians; nor an improved economy in the West Bank. Nor will it weaken the Hamas government in Gaza. It will not bring greater security to Israel, help improve Israel's relations with the Arab world, strengthen a coalition of moderate Arab states or shift the strategic balance in the Middle East. Olmert can't understand why they rejected his far-reaching and unprecedented proposal. Maybe because it was not enough? Maybe nothing will be enough? Maybe it was because of the settlement construction he is saying in this article is not the issue (that too is obviously not the issue, I am just saying maybe he read them wrong, considering he did not achieve the peace despite his unprecedented proposals). My proposal included a solution to all outstanding issues: territorial compromise, security arrangements, Jerusalem and refugees. Shas was the senior party member of Olmert's government. Shas said repeatedly that Jerusalem is not under discussion, and the moment it would be they would be out of the government. Is Olmert lying when he says he offered them Jerusalem or was Shas lying when they said Jerusalem was never put on the negotiating table (and they ensured us that they would know the moment it is, considering their status in the government coalition) - I would not put it past either of them, but I am more inclined to believe Olmert actually did offer Jerusalem to the PA.
Who says this is a non-priority issue? Just because Israel wants to say that does not mean the US or Palestinians have to consider it a non-priority issue. The truth is the article, and the point he is trying to make, is a good one overall. the settlements should not be the big issue everyone is suddenly making it out to be. The Palestinians never before had a problem negotiating while settlement expansion (under natural growth understandings) was continuing. the US had its agreements with Israel about allowing it to continue at certain levels (which Obama says never happened). To suddenly make this the end-all issue is really just a distraction and an excuse. In Junior Boys Basketball, Israel beat Mexico 110-17!!! Canada beat Italy 79-24. USA beat Belgium 102-30. and Brazil beat Great Britain 101-23!!! The Burqa lady from RBS B has been out of the news for a very long time. After she was arrested, her case eventually went to trial, and only snippets of information snuck out on occassion, as the case was held behind closed doors. Today Mrs. Burqa was found guilty for abusing 6 of her 12 children. It disturbs me greatly that a sick woman, who is an extreme anomaly to her culture, as well an extreme anomaly to what we are used to, is being judged like a regular person. She should be dealt with like a person with an impairment.... This is my first client in my life whose face I never saw and voice I never heard. And this is how they decided to hold the trial, with a client who cannot take counsel with her own laywyer. This is a woman who is in a blackout and who has not left her house in 10 years. She is busy all day with ceremony, and mumbling words. Her place is not in line with the guilty, but she needs to be dealt with by doctors. Her situation is very sad, but the fact that she refused to speak to her male lawyer is nobodies fault but her own. if she refused to speak with him, they could have gotten her a female lawyer. if she refused to participate even with a female, again that is her fault. If you don't try her because of this, every criminal going to trial will pull the same shtick. And if the lawyer thinks she needs to see doctors only because she is too caught up in ceremony, there are plenty of people caught up in ceremony who live their lives just fine. yes, she is sick. And hopefully she will get the treatment she requires. But abuse is abuse and that too has to be dealt with. Isn't every criminal "sick" to a certain extent to do what they do? Will professional baseball be returning to Israel? 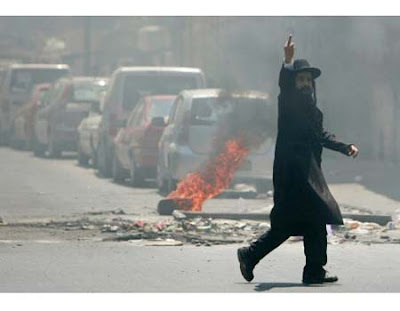 I am holding a moratorium on posting more on the Jerusalem riots, pending further developments. Enough people have written about it, that there is little left that has not been said, despite a couple posts I had pending. It was [relatively] quiet over shabbos, and I hope it stays that way. I will give them a chance, and not post any more on it unless the situation becomes exacerbated somehow. Rav Elyashiv was recently asked what the status of French Fries is regarding the issue of bishulei akum. Rav Elyashiv's response was "Does Obama eat french fries?" So, does Obama eat french fries? We know Obama has gone out on burger runs a number of times, even leaving the White House to go get a burger. In May he went to a burger joint called Ray's Hell Burger. When he asked for fries, he was told this burger joint does not serve fries (a burger joint with no fries? strange). So, Obama at least asked for fries. If you say that is not enough, he has to have actually eaten them, then we have another burger run. At the end of May, Obama went out for another burger run, this time to Five Guys. According to this article, he ordered fries as part of his order. So, it looks like french fries are eaten by royalty, thus rendering bishulei akum to be an issue with french fries. 3. Alleyways to Torah wishes all a freilichen Tisha B'av, with a nice story. 4. Lost in Kollel says to be your own boss - no more of "my son, the lawyer". 6. Daat Torah brings Rav Moshe Sternbuch's opinion on the rioting in Jerusalem. He is openly against it. He says he does not speak out because the people rioting don't listen to him. He should still speak out, I think, because they are rioting in the name of the Eida, and he should be saying the Eida does not support it. As we head into summer vacation, there is this great website you should check out to help plan your vacation. It is called Go Visit Israel. Whether you are planning a trip to Israel from abroad, or if you live in Israel and are trying to figure out what to do, where to go, what food options are available where you will be going, etc. Go Visit Israel is an amazing site of resources to help you plan all that. They have great features, like Itinerary recommendations where you can get ideas for specific tours for any part of the country. You can get listings of places to stay, restaurants, activities, etc. Basically it is a great resource for you to have available when you are trying to plan your vacations schedule. Even if you are not going anywhere, but just want to know what is available in your own region of Israel, Go Visit Israel is an amazing resource. Maccabiah Softball is back in business! Prime Minister Netanyahu spoke at the opening ceremony imploring the world's top Jewish athletes to move to Israel, and the very next day the police storm a field to break up a softball game over some bureaucratic bull***t," exclaimed Israel team member Michael Hochman. "How does that play well for anybody?" "I will NOT be making aliya. After four years of training, this nonsense has made my decision very easy. It was easy for the Maccabiah to take our money, and now they have housed us an hour away, and much worse, they did not make sure to be well organized. What a shame. We are totally disgusted and many people1s plans have been ruined...This really hurts," said the player who did not want to give her name. Why did all this have to go down like this? Indeed, the timing of the legal enforcement by the municipality - in the middle of an Israel-Mexico game during an event that is widely-viewed as the perfect opportunity to extol Israel's virtues to visitors from abroad rather than expose them to its murky administrative underbelly - seems peculiar at best, even suspicious. However, those in charge of the decision maintained that there is no evil agenda at play and there was ample warning given that games would be halted if a business license wasn't1t secured. "The Maccabiah and the Baptist Village were well aware of what had to be completed," explained Petah Tikva spokesperson Hezi Hakak. "They just chose not take care of things in a timely matter." Asked why this licensing issue never became an issue before at the Baptist Village, which has hosted a pair of previous Maccabiahs as well as 2007's professional Israel Baseball League, Hakak stated, "you cannot ask why we didn't enforce things properly in the past. There are very good and well-established reasons for requiring venues with a certain amount of people in attendance to have a business license to operate. This is not a new law and the blame for the games being canceled cannot be shifted to the municipality of Petah Tikva." Regardless of what happened and who is to blame, fortunately the snafu has been corrected in time to accommodate the entire softball schedule. There will no longer be a Sears Tower in Chicago. they are not tearing it down, but they have sold the rights to the name. Corporate America has spoken (though the original name was also corporate America, just it became "the name" and stayed even after Sears left) and the rights to the buildings name have been sold. 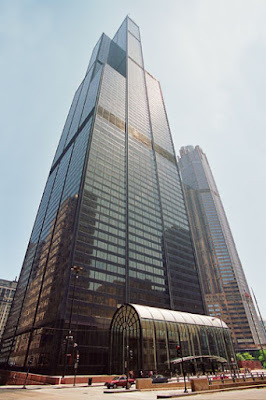 The new name of the tower will be Willis Tower, as Willis Holdings Group purchased the right to the name as part of their deal to lease space and move offices in to the tower. An era has passed, and the Sears Tower is no longer. [Shai] Dromi shot my son in order to kill him. Dromi waited for him and his friend, and set an ambush for them, when all they went to the area for was to trap rabbits. is it anti-haredism or not? I don't know if the woman at the center of the recent headlines and the source for the latest riots in Jerusalem is innocent or guilty. The truth is I don't even know all the details of the story -it did not interest me that much. Sick mother, sick kid, mother allegedly tries to starve kid, mother arrested. End of story, no interest to me. There are sick people everywhere, in every community, in every society. If they don't take care of themselves, if the community does not take care of them, they will harm themselves or others. Why people have to riot in her defense is beyond me. Some people think she was only arrested because she is Haredi - they are calling it a modern day blood libel. This is despite the video footage showing what she did (though from what I understand there is room to interpret it differently), and testimony from the doctors. I am not saying the video means she is guilty - I am just saying the video means it is unlikely to be a blood libel, and unlikely to be "just because she is haredi". In the eyes of the law, they have evidence of her abusing and starving her child. Prove them wrong, get them to let the mother out on bail into medical care, whatever legal means are at their disposal, but riots? Monday night, the night this all began, I was driving back from an engagement party in Bnei Brak. On the radio was Yisrael Eichler talking about the situation and the riots on her behalf. Eichler, who usually will defend the haredim 100% and just about always claims the secular do what they do just with pure intent to hurt the haredim, did not understand the riots. His big question was what this has to do with him - if she is sick and hurt her kid, why do we have to protest on her behalf, if on the other hand she is innocent and it is prely anti-haredism, then it is understandable. But which is it? Being that the actual story did not seem to lean obviously to saying it was anti-haredism, Eichler remained unclear in whether or not he should support the rioting. So Eichler brought on to his show Shmuel Chaim Peppenheim. The "spokesperson" for the Eida, the guy who regularly defends haredi rioting, the guy who can easily clear things up and prove that it is all anti-haredism and there is nothing of substance to the arrest. Peppenheim spoke, describing hos it is a false arrest, she is such a devoted mother, she would never do this, it is all anti-haredism, etc. yet he had nothing solid to say, and no explanation for her actions. Eichler asked a few times what this has to do with us and why is rioting on her behalf ok. Even if the response of the police to arrest her was exaggerated and perhaps they should have taken her to a mental facility or somewhere she would get care and be watched, that is not a reason for rioting. Peppenheim had nothing clear to say other than his basic claims that it is all anti-haredism, and he had nothing clear in his words to explain and show that that was really so. Peppenheim ws very unconvincing, and even Eichler was unconvinced and closed off the interview still asking his main question. Furthermore, if she or the kid were so sick, if the doctors are making false claims, why have the great haredi medical askanim not been brought in to tell us what really happened or could have happened or should have happened? Fort even the most minor of surgeries, almost every haredi person will call the organizations of either Rav Benny Fisher, Rav Elimelech Firer or others to ask and get clarity on what should be done. We have done so on a number of occasions. Why were these haredi experts not brought in in this situation to defend the mother? And even if the "Eida" claims are 100% correct, that she should not have been arrested but at most taken to medical care but not put in jail with murderers and dangerous people, why does that give anyone a right to riot and destroy jerusalem? Take legal means to get her out. It can't be that hard to get her out under medical care and observation, even if it means being kept away from the kids for a while. Why must they riot over every little thing they don't like? Why must we all look bad because of them? I have been told by a few people that Life in Israel crashes when being viewed in Internet explorer 8. My first response was that this is just another reason to not use Internet Explorer but to switch to Firefox or to Chrome (or to a Mac). But some people won't do that, so I tried to find out what was casing it to crash. I found that Blogger has a bug with their "Followers" widget that causes pages to crash in IE8. I only added the Followers widget when I installed my new template, which is when it started crashing for people. So, assuming that is the cause of the problem, I have removed the Followers widget. If you use IE8, please let me know if it is still crashing or if that solved the problem. Maybe when Blogger fixes the bug I'll put the Followers widget back. 1. There is an interesting discussion going on over at DovBear on a guest post by Hadassah Sabo Milner. The topic is a single mother having a child by sperm donation. 2. Mimi, at the Israeli Kitchen, walked through Jerusalem noting the ancient and the new. 3. Frozen Politics comments on how the Palestinian News Agency recently reported on the major car accident outside of Bet Shemesh. 4. At Shearim, Miriam Woelke discusses how Baalei Teshuva should accomplish fitting in to the society they are trying to integrate into, and should not think they know everything after just a short period of learning..
6. Parshablog points out a Ran that argues on a midrash, which would render himself an apikores according to an earlier opinion of the Ran himself. interesting discussion to consider. Rav Yuval Cherlow was asked if a blind man is allowed to touch his female date (touch/feel her face) to "see what she looks like". this touching has no sexual meaning. it is purely for the sake of "seeing" her. As such, it overrides the rabbinic prohibition of negiah. Sometimes there are reasons to push away a prohibition, which is what a rav posek is for. For example, it is normally prohibited to look at a woman. But chazal allowed it for the purpose of seeing the woman you are considering marrying. Perhaps he is obligated to, as chazal required a man to see his wife before marrying her, for "v'ahavta l'rei'acha kamocha". This is the only way the blind man can acocmplish this in this situation. Halacha treats blind people differently. For example, turning a light on on shabbos for a blind woman giving birth is allowed, even though it does not help her see. but it calms her down. Even though this fellow cannot see his wife, knowing how she looks is still important to him. The Maccabiah used to be a fun event, on a small scale, where Jewish athletes could compete against each other. The Maccabiah was small, and interest in it could be found mostly among the non-native Israelis - all the people who have made aliyah finally got to see some of their favorite sports played in Israel. Israelis pretty much knew nothing about the Maccabiah. This year the Israelis and the Maccabiah board did a tremendous job of marketing. they made it into a real large scale event, to the point that one could really consider it a small-scale Olympics, as it was originally intended to be. The Opening Ceremony was reminiscent of the Olympics Opening Ceremonies, the games are played to greater fanfare, the news is disseminated to the public, etc. I even heard last night on the radio a broadcaster talking about how she, and the guy sitting talking with her concurred, had never before heard of the Maccabiah and had no idea what it was when they started to make the news regularly a short while ago. She called in a "Sports expert" to explain it all on the show. 10% of the country tuned in to watch the Opening Ceremony. The exposure the Maccabiah is experiencing is unprecedented. All because of some smart marketing. The funniest thing, especially considering how much effort they put in to marketing the Maccabiah this year and making it a success is an incident that happened yesterday. This incident is classic Israeli bureaucracy - it seems there was a problem with Yarkon Field not having applied for a business license. Instead of helping to get it done, or letting the games be played and deal with it afterwards (leagues play there all year round for a few years already, including the short-lived Israel baseball League 2 years ago and the Israel Softball Association), the police raided the field in the middle of a softball game and put an end to play. they raided the field as if they were raiding the meeting point of the biggest mafia dons in the country. The biggest problem the police have to deal with is an illegal softball game, putting everything they worked for to make the Maccabiah a success into jeopardy? On Tuesday morning, just as the second inning of an Israel-Mexico contest was about to begin, members of the Petah Tikva Police suddenly turned up and put an immediate stop to the game, as well as canceling the remainder of the Maccabiah softball schedule until further notice. Evidently, the police were enforcing a stoppage order issued by the Petah Tikva Municipality following a decision late Monday to deny the application for a business license for the Baptist Village. While the tournament organizers were aware that the venue lacked the license, they were under the impression that it was just a matter of formality in processing the application and that the license, or at least a temporary respite to allow the games to go on as scheduled, would be issued. "This is not a case where we did not prepare properly," Maccabiah public relations director Yaron Michaeli told The Jerusalem Post. Ami Baran, executive director of the Israel Softball Association - and manager of the Israeli men's Maccabiah squad - said the situation could turn into a real debacle if the entire softball event is scrapped, especially with 10 teams from abroad having traveled to Israel specifically for the tournament, and the average foreign player paying in excess of $5,000 to participate. "The real shame is that we've had four years to prepare for this, and it could all be ruined by a bunch of bureaucratic nonsense. It is doubly strange because the Baptist Village has hosted two previous Maccabiahs, plus [it] was one of the main venues for the Israel Baseball League in 2007 - all without requiring any sort of business license," he said. "I really hope this can get fixed before it is too late." In better news, Israel is offering special packages to encourage athletes in the Maccabiah to make aliyah. If you thought the gedolim were too disconnected from the people already, and controlled [to a certain extent] by askanim you will love the latest idea. Kupat Ha'Ir, the lovely tzedaka organization from Bnei Brak that frequently is pushing segulahs on potential donors, along with creating hopes of salvation for the mere act of giving with the inability to live a normal life unless one gives to them, along with having images of gedolim supermodels dropping their dimes in the pushke as fundraisers, has come up with a great new fundraising idea. The new idea is that instead of waiting in line at the rav's house - everybody knows how long the line is to get into Rav Kanievsky's room to ask a question - you can now (if they implement the idea) make a donation of 350NIS (minimum) to Kupat Ha'Ir, and they will ask the question for you. An answer is gauranteed within 48 hours. I don't know how they will be able to give over all the details and nuances necessary to ask the question properly so the rav understands the question and the petitioner, but I guess that is not important. So now the average Joe and the little connection he already has to the gedolim is going to be encouraged to give that up and go through more middlemen and askanim... Kol Hakavod! 1. Joe Settler, posting at the Muqata, calls for a retaliatory boycott of all Scotch Whiskeys produced in the UK. I have no problem with this, as I think bourbons are better drinks anyway than scotch whiskeys. 2. In an article appropriate for the "Three Weeks", Rabbi Ari Enkin discusses some of the customs of mourning and Zecher L'Churban. 3. New blog Tzedek-Tzedek describes some of the obligations you have to your household help. 4. A Simple Jew talks about accepting compliments..
Has Rav Elyashiv changed his position on the use of the Heter Mechira? The Israel Lands Authority is preparing to reform its systems in an effort to free up lands for construction, and to make land development much cheaper for buyers. A major component of the land reform is privatizing a lot of land - instead of the continued use of the 99 year lease that has been in effect until now, land will be released and sold to private hands. The plan has led to opposition by some people for various reasons. Some are concerned that just like prime real estate in the US has been bought up by foreign concerns, in Israel the same might happen. We might be witness to Arabs buying up large tracts of Israeli land, changing the dynamics of the State of Israel. Another concern, is that the Land of Israel is nobody's to sell to private hands, but belongs to all the Jewish people. Another concern, held by a number of prominent rabbonim, is that this is in direct opposition to the Torah statement that says the Land cannot be sold forever, as well as the prohibition of selling land - Lo T'chaneim. According to this article on the Haredim news site, Arial Attias, the Minister for Housing and Construction who is leading the implementation of the reforms went to rav Ovadiah Yosef to get direction on the halachic issues, and Moshe Gafni went to Rav Elyashiv to get his direction. Both, after researching the issue, paskened, supposedly, that nowadays there is no problem with selling the land. They each said that today the land has no holiness today because we do not observe the Jubilee any longer. That gives the status of the holiness of Eretz Yisrael the same as the status of Chutz La'Aretz. Far be it from me to argue on these great poskim, but I have hard time believing this was really what they said. Today the land has no kedusha? They argue on the accepted psak that the holiness was never voided? How can Rav Elyashiv possibly be so vehemently against keeping the heter mechira during the shmitta year, even as a b'dieved (for example, he paskened one must kasher pots that were used to cook heter mechira produce), if he also holds the land has no holiness and can be sold to whomever wants to buy it? One of the major reasons for opposing the land sale during shmitta is because of the prohibition of Lo T'chaneim, but now he is saying that there is no prohibition against selling land. There were other reasons as well to oppose the heter mechira, such as the idea that the sellers really had no intention to treat the sale as a real sale. Perhaps the land reforms will render those oppositions meaningless as well, as now, if this goes through, land in Israel can and will be sold like anything else. Rav Ovadiah is at least more consistent, if this is really what he holds. Rav Ovadiah paskened during shmitta that heter mechira is acceptable. So this is not in complete opposition to his other decisions as it is with Rav Elyashiv. So either the article got it wrong, or the psak does not make much sense on the surface of it. At worst, next shmitta year I would expect Rav Elyashiv to be a major supporter of the use of the heter mechira. I tripped over some Jewish Music in Hong Kong! I did not donate, and found salvation! Does Rav Kanievsky see the lottery numbers? Israelis and chips - hacking the hack.